Lieberman's resignation comes amid his rumoured disagreement with Prime Minister Netanyahu over the latter's push for a ceasefire with Hamas that wrapped up nearly two days of intense shelling and missile attacks from both sides across the Gaza border. Israeli Defence Minister Avigdor Lieberman stepped down from his position on Wednesday, slamming Prime Minister Netanyahu for "surrendering to Hamas terror." "If I were to continue as defense minister I wouldn't be able to look the residents of the south in the eye," he said, as quoted by The Jerusalem Post, in a nod to Tuesday's ceasefire with Hamas. "This will severely harm our security in the long term," Lieberman added. Lieberman confirmed that his Yisrael Beitenu (Israel Our Home) party, which holds five seats in the 120-seat parliament, was leaving the coalition. He went on to ask the government to decide on an early election as soon as possible. "We should agree on a date for elections as early as possible", he said. According to Lieberman, he didn't see eye to eye with Netanyahu on many things, including allowing Qatari gas into Gaza and delaying the demolition of Khan al Ahmar, a Palestinian community on the West Bank. Describing the Israeli response to the recent launch of hundreds of rockets from Gaza as insufficient, Liberman named two conditions for humanitarian aid to be supplied to Gaza: bring back the captives and ensure no riots at the Gaza border. Meanwhile, Sami Abu Zuhri, a spokesman for Hamas, described Lieberman's resignation as a "political victory for Gaza," adding that it means Israel's failure to tackle Palestinian opposition. Officials in Bayit Yehudi (The Jewish Home), a party that has eight seats in the Knesset, warned that they will pull out of the coalition if their chairman Naftali Bennett, who currently serves as Education Minister, replaces Liberman. Lieberman's move was followed by the resignation of Sofa Landver, Minister of Aliyah and Integration and member of parliament for Yistrael Beitenu. 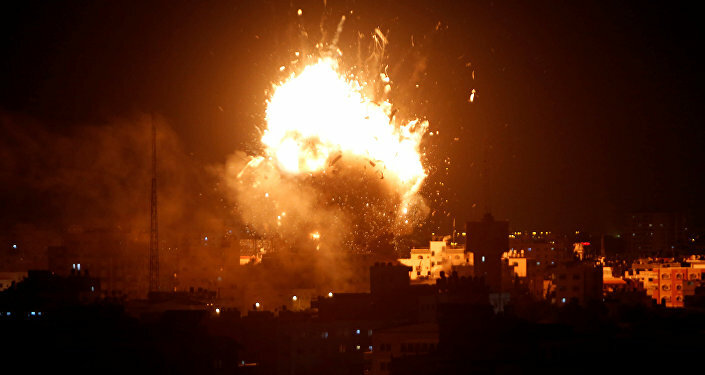 This comes after the government agreed to a ceasefire with the Hamas militants, ending the latest uptick in violence in Gaza, which saw Palestinians launch hundreds of rockets, with Israel responding with strikes against militant targets in Gaza. According to Haaretz, Liebrman was angered by a recent statement from Netanyahu's office, which falsely indicated that he backed the prime minister's push for a ceasefire in Gaza. A senior cabinet member told Israel's Channel 10 that Liberman was in fact among several ministers that opposed Netanyahu's decision to agree to a truce with Hamas, an Islamist militant group which serves as the de-facto government of the Gaza Strip, after recent clashes across the Gaza border. On Tuesday, Hamas announced an Egypt-brokered ceasefire to halt the latest wave of violence, which erupted on Monday after a Hamas commander was killed in a covert Israeli operation. An Israeli officer also died in the ensuing gunfight. The Israeli military said it had intercepted over 100 out of the 460 rockets fired from Gaza over the past day, and attacked 160 militant-related targets in the enclave.